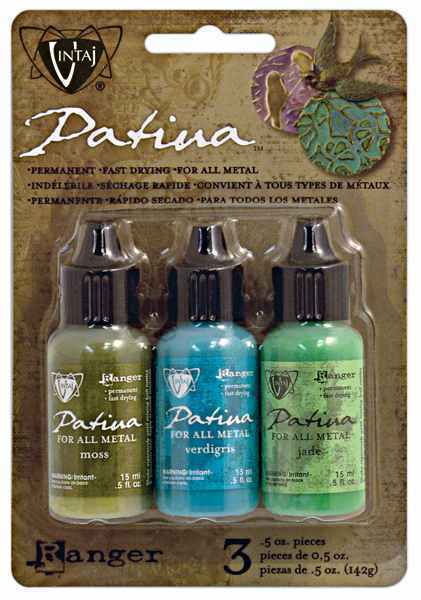 Ranger Vintaj Patinas (Weathered Copper Set) are specially formulated to adhere to metal. Use to alter the color of Vintaj products. Mix and layer them together with the original blendable Patina colors for a multitude of effects on jewelry and embellishments. Permanent, fast drying and semi gloss opaque metallic inks for metal.